Hokey Pokey, on Stargarderstraße in Prenzlauer Berg, is just around the corner from the Gethsemenekirche. 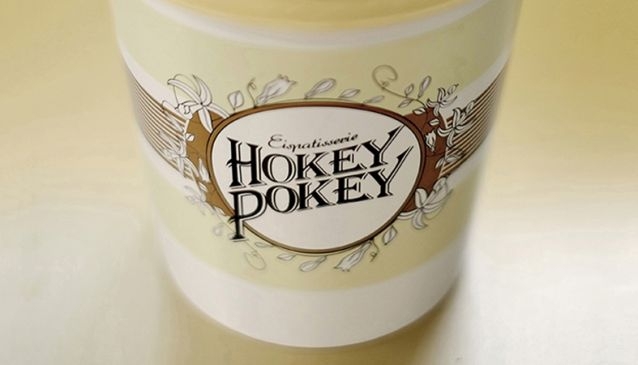 With a wide selection of ice cream made on the premises, the one problem with Hokey Pokey is that it is almost impossible to decide on a flavour. With flavours like banana and peanut butter, rocky road alongside perennial favourite French Chocolate and their signature Hokey Pokey (Vanilla ice cream with toffee) you will want to bring a friend so that you can taste whatever it is they decided on. Friendly and very helpful staff are on hand to help you decide if you are stuck. If you are lucky you might get a place to sit on one of two park benchs in front of the shop. Otherwise, go for a stroll down Pappenallee around Helmholzplatz. By the time you are finished your ice cream you might be ready to do a little shopping.